The Jewish history of Oxford is of very great interest. The original Oxford Jewish community is of great antiquity, dating back to a period shortly after the Norman conquest. In its time it was one of the most important Jewish communities in medieval England, and has a long history replete with fascinating events and personalities. Furthermore the Oxford Jewry in ancient and modern times has gained a unique character, as the life of the Oxford community has always been closely involved with the life of the University. Indeed the Jews of Oxford have made a their own distinct contribution to the shaping of the university, even playing a role in the founding of Oxford's first true college, Merton college, in 1266/7. Jews arrived in Oxford in c. 1080, and took up residence in the heart of the commercial center of town, in St Aldates. Such was their presence, the street became known as Great Jewry Street. Perhaps some 80-100 Jews lived in Oxford, practising the usual professions of small trading, medicine, pawn-brokerage, and money lending. As the University arose around them they became particularly involved in providing vital finance for the poor clerics who populated the University, and also providing their housing. Up to 10% of all student accommodation in this time was let by Jewish Landlords. Jews were prohibited from attending the University, unless they became baptized Christians. Yet Christian scholars consulted the Jewish rabbis and scholars who lived in Oxford, and who it is thought studied in a Talmudic academy in the Jewry. (see special feature on the dynasty of Moses of Oxford). The Jews generally enjoyed good relations with their Christian neighbours, and whilst there were sporadic and serious out-rages against the Jews of Oxford, there was never any murder or massacre of Jews in Oxford, as in nearby towns like Northampton. Yet they like, their fellow Anglo-Jews suffered, increasing anti-semitism throughout the 13th century. The attacks in Oxford, as elsewhere, usually occurred at the time of major Christian festivals - particularly the Easter period. The most notable of these was the Ascension Day riot of 1268, in which it was alleged that a Jew had attacked a University religious procession, and then dashed and trampled the Crucifix to the ground. The whole community were temporarily imprisoned, and the king punished them by forcing them to pay for a marble and gold crucifix that was set up in Merton college. The Jewry gradually emptied in the 13th century, and only some 10 Jewish property holders were left in Oxford at the general expulsion of the Jews in 1290. Their confiscated property eventually passed to Balliol College, and was later taken without payment when Christ Church was established. Recent and remarkable evidence from the Bodleian library now suggests that some Jewish converts, including scholars, did stay in Oxford (at a the Domus conversorum or house of converts) after the expulsion producing Bibles in Hebrew and Latin during the 14th century for Christian scholars - something that had been hinted at in Oxford tradition. Few Jews were found in Oxford between 1290 and 1655. The first Jews that we know of in Oxford came in the early 17th century. Most assisted with the cataloguing of Hebrew manuscripts in the Bodleian Library, or taught Hebrew privately to University students. But one Jew, Jacob Wolfgang, converted in order to become a member of the University in 1608. He is almost certainly the first Jew known to be a member of Oxford University. For all his pains, Jacob was sneered at by his collegians for having little ability in Latin, Divinity, or Humanity, despite his obvious facility in Hebrew. The Jewish drift back to Oxford included tradesmen. It is one Jacob (probably identifiable as Cirques Jobson) who introduced coffee, and coffee shops, to the city, and indeed it is thought to the country. A fact for which students remain grateful. A very small community established itself in St Clements village close by the East Gate of the city by the 1730's. St Clements was chosen as it was outside the religious and civic jurisdiction of the all powerful University, and the small number of Jews here found themselves neighbour to the Roman Catholic minority. The community included itinerant peddlers, grocers, and traders in old clothes. Their times in Oxford were peaceful, if non-descript. Jews enjoyed real toleration from the 17th century, as they were effectively social and economically integrated into the surrounding community. The was anti-Semitism, but it was benign compared to that of the Middle Ages. It concerned itself with mocking rather than demonising Jews, and focused itself on the real problem of sexual relations between Jews and Christians, and the threat of inter-marriage. The community remained very small indeed in Oxford into the 19th century, due to the continuing stifling presence of the religiously orthodox University. However the 19th century saw a revolution in Oxford as far as the opportunities and freedom of Jews was concerned. The advent of intellectual and religious liberalism in Oxford, as well as moves to provide political freedom for Jews nationally, swept away the bar to unconverted Jews attending the University. In 1856 Jewish undergraduates were permitted, and in 1871 college fellowships were opened to all. It was in fact some decades before Jews were to take full possession of the freedoms they had been offered in the University. There were very few Jewish undergraduates before the end of the 19th century, and Sir Isaiah Berlin became only the fifth Jewish academic in Oxford, when he got his fellowship in All Souls College in 1932. Most Jewish undergraduates, and fellows, such as there were in Oxford, generally chose to hide the fact they were Jewish. The war changed much in Oxford. Apart from a massive, though temporarily swelling of the Jewish population of Oxford, and the arrival of exotic European refugees, including Einstein, the war shattered the already tattered remnants of the social fabric of the old order in the Oxford colleges. Thus the post war era saw a great expansion in the numbers of Jewish students attending Oxford, and an exceptional growth in the numbers of Jewish academics. Until two years ago no less than seven heads of Oxford colleges were Jews, and currently between 7 - 9 % of students are Jewish. Additionally Jewish study is thriving both within and around the University, in the Oriental Faculty, and the Oxford Centre for Jewish Studies at 45 St Giles, and Yarnton Manor. Jewish life has become much more self-confident and outward going in the recent past, as is especially attested in the formation of the Oxford University L'Chaim Society in 1989, which courted local, national, and even inter-national publicity for itself until its demise. The local Jewish community remains small (around 200 families) and is dominated by University members. The synagogue has no rabbi, and now makes a virtue of the fact, supporting a unique menage of Liberal, Reform, and Orthodox congregations under one roof, with services, and funerals, conducted by synagogue members. The synagogue was rebuilt in 2005 with a new wing for Cheder classrooms and a student lounge for the Oxford University Jewish Society. 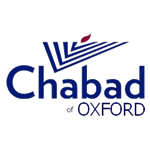 In 2001, the Oxford Chabad House at 75 Cowley Road, opened with a new Rabbi serving the Jewish community and students, Rabbi Eli Brackman and his wife Freidy. A new Jewish society was opened with an active undergraduate student commitee, called the Oxford University Chabad Society. Due to its success and popularity, in 2004 Chabad of Oxford bought the buidling next door for expansion. In 2006, further expansion was underway with the opening of a new student centre in the heart of the city at 61 George St. The George St. centre is called the David Slager Jewish student centre, named after the grandfather of Oxford Jewish alumnus of Exter College, David Slager, who died in Auschwitz. In 2006, another major development took place, the building of the first Mikvah in Oxford in 800 years. The Mikvah is being built on the site of the Oxford Chabad House, 75-75A Cowley Road, just 5 min walk from where the medieval Mikvah might have stood, on the site of Magdalen College.